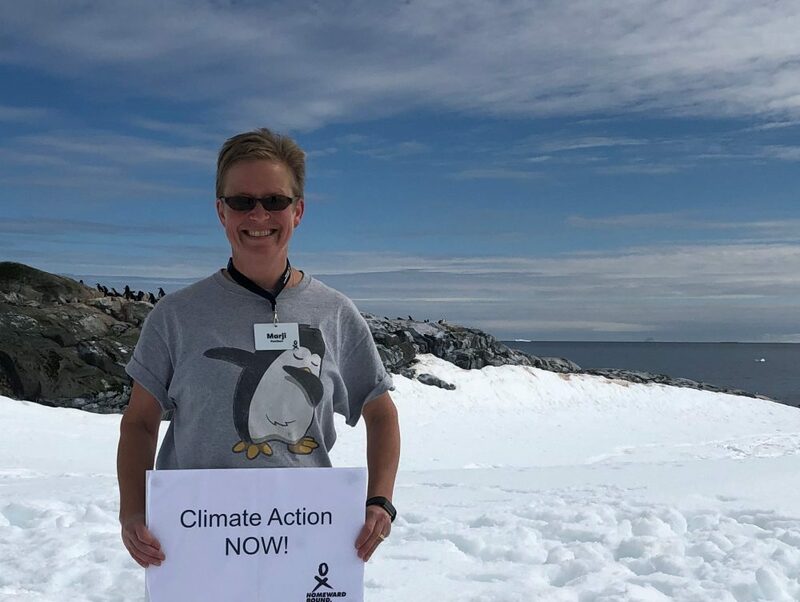 I study tropical marine ecosystems like coral reefs and ask kids aged 5-11: ‘What do penguins and coral reefs have in common?’ The answer comes easy to a geographer who realises that everything on Earth is interconnected. The warming seas that are melting glaciers and ice sheets in Antarctica also are killing coral reefs – in both ecosystems, the threat posed by climate change is easy to see. I joined Homeward Bound because a problem as seemingly insurmountable as climate change surely requires all possible leaders to step up. Yet the leadership table at present includes relatively few women. Homeward Bound aims to change this by building a network of 1,000 women over 10 years with the leadership skills to make a difference. This could not be any more urgent for coral reefs. Up to 75% of the world’s reefs may be lost even if the world limits the average temperature of the Earth to within 1.5 degrees Celsius of pre-industrial levels. If this temperature exceeds 2 degrees, almost all reefs will likely disappear. Polar ecosystems, particularly in the Arctic, face a similar threat. Both act as an early warning system for the severe threats to life on Earth that will eventually occur everywhere if we do not act quickly. 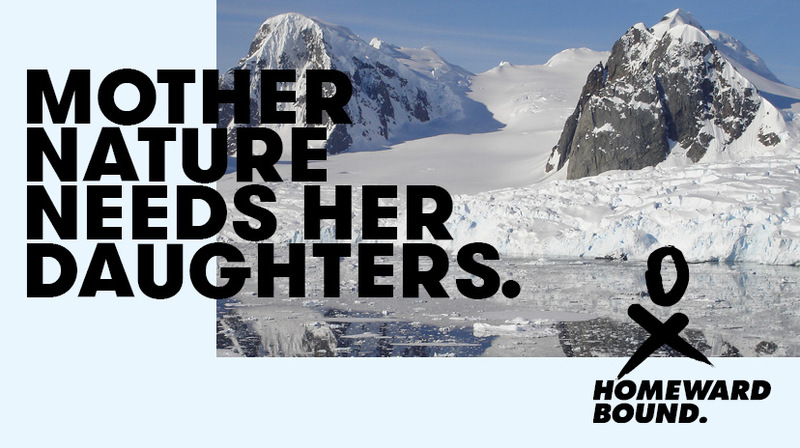 Joining Homeward Bound in April 2018 inspired me to reach out to those who not only will be most affected by climate change in future, but also have no voice in the decisions that need to be made now to combat it – KIDS. I ran a drawing contest for kids aged 4-14 (Kids care about climate change). 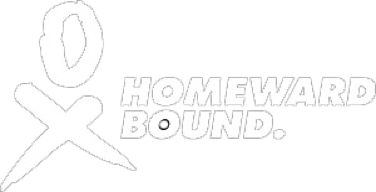 Many Homeward Bound women helped spread the word, and in just two months, 1,246 entries from 120 schools and 11 countries (Australia, Canada, Denmark, France, Germany, India, Mozambique, Singapore, South Africa, UK, USA) flooded in (https://kidscareaboutclimate.org)! Every drawing was printed onto one of five fabric panels to form a mosaic of the dabbing penguin, and these were sewn into a GIANT 7m by 5m flag. 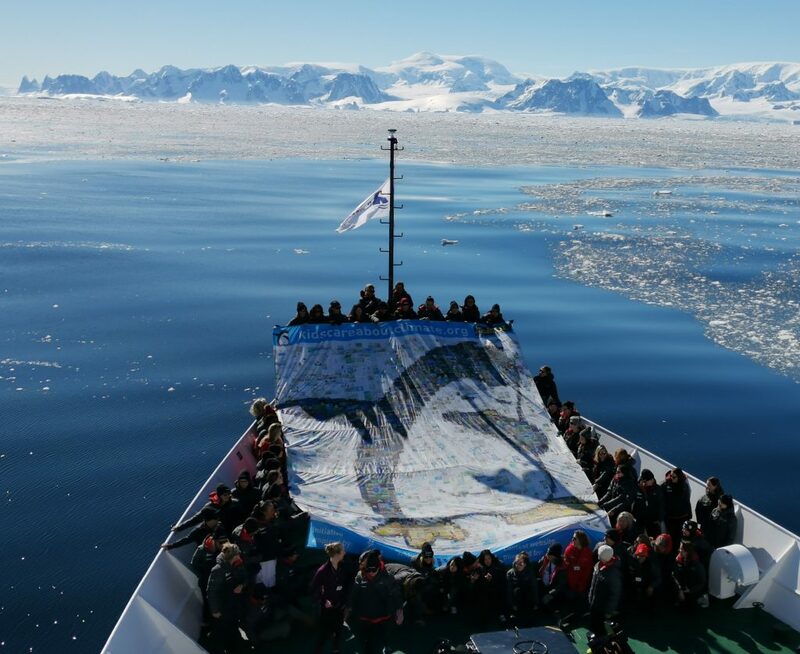 The women of Team HB 3 launched the flag in the snow at Hydruoga Rocks in the Antarctic Peninsula and again on the deck of the MV Ushuaia amidst the floating ice. We hope to raise as much media attention as possible to spread the kids’ message far and wide. #TeamHB3 and crew of the MV Ushuaia launch the flag on deck as we cruise through ice filled waters. #TeamHB3 sisters help launch the #kidscareaboutclimatechange GIANT flag in the snow to spread the word that kids want their voices heard on this key issue. As the HB3 program concludes tonight, I am stubbornly optimistic that as a global collective, we CAN and WILL take action to combat climate change. I have experienced first-hand over the past three weeks how empowering it is to work within a constructive, supportive and inclusive community of diverse women. 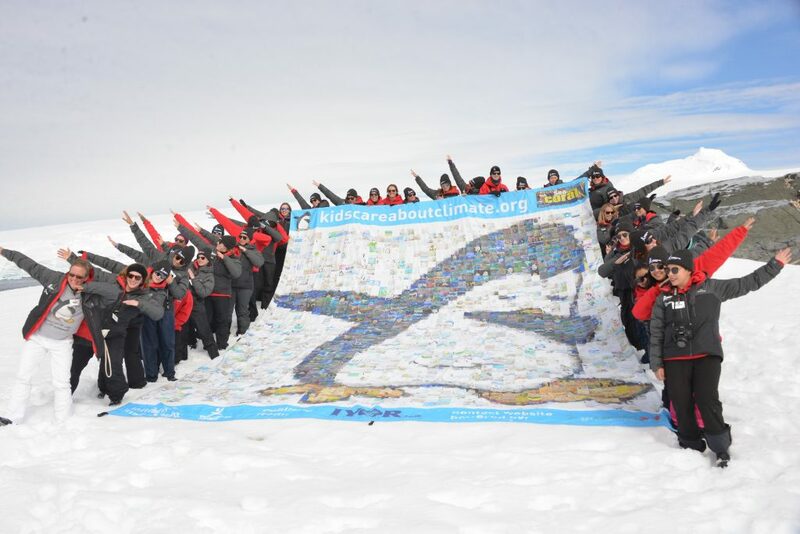 We got the chance to test the power of this collective on our way back to Ushuaia through the notorious Drake Passage. Our ship rolled, bounced and smashed its way through stormy seas with wave heights up to 12 metres (~40 feet) and winds gusting to 75 knots. Through laughter, we turned a potentially miserable experience into an amazing adventure – something I never would have thought possible one year ago.